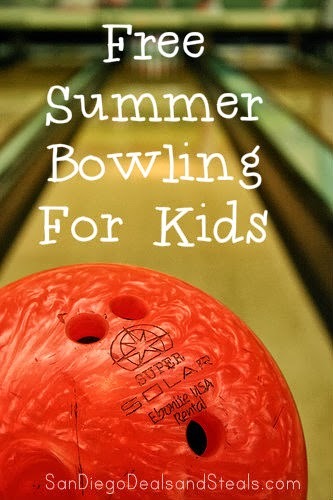 Continuing with our "Summer of Awesome", I'm guest posting over at San Diego Deals and Steals today sharing about several nationwide "Kids Bowl Free" summer programs. So whether you live in San Diego or another part of the United States, there's sure to be a program available for your kids. We did it last year and it was super fun! Bowling is a great activity for the whole family. Hope you pop over to SDDS and check it out! We do this every summer too! The kids love it!